With 80 miles of accessible coastline, surfers from all skill levels will able to enjoy the spoils of SLO CAL&apos;s beaches. From classic California surf vibes to those resembling northern California, there&apos;s a scene and atmosphere for whatever experience you desire. Plus, many of these places are next to the best places to fill those bellies after a day in the water. 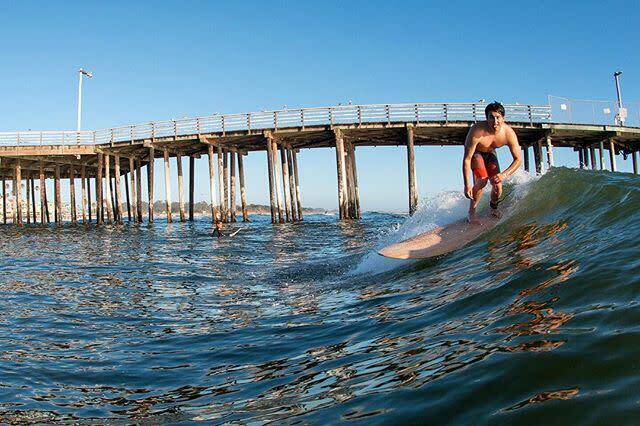 Check out these 4 SLO CAL surf spots plus some helpful tips for navigating the SLO CAL waters. On any given day, you&apos;ll be able to stand on the sand in Pismo Beach and watch as surfers pick their waves next to the Pismo Beach Pier. The waves are slightly smaller than some of its SLO CAL counterparts but can be just as fun and exhilarating. Never surfed before? Book a lesson at Esteem Surf Shop where they&apos;ll get you suited up and ready to go learn the basics from a knowledgeable staff member. Come and experience surf events such as the Billabong Still Frothy Surf Festival every September or World Surf League&apos;s Pismo Beach Open. Have you ever surfed near a 23-million-year-old volcanic plug before? 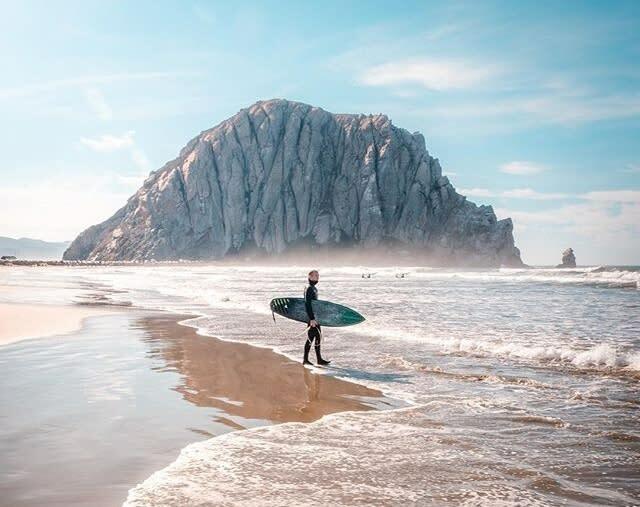 Surfers flock to “The Rock” in Morro Bay to catch waves to the north of this 500-foot (150-meter) tall iconic SLO CAL feature. Grab gear at AZHIAZIAM or Wavelengths surf shops and get out there. The scenery and waves are going to be epic! Surf events in Morro Bay include a Veterans Surf Invitational happening over Veterans Day and the Big, Bad and Ugly Surf Invitational every February. Just north of Morro Bay along Highway 1, you&apos;ll find the quaint town of Cayucos, steeped in surf culture. Roam about the small downtown area before plunging into the frosty waters. While the waves aren&apos;t as big as those in Pismo Beach and Morro Bay, you&apos;re sure to enjoy being out on the Central Coast waters. 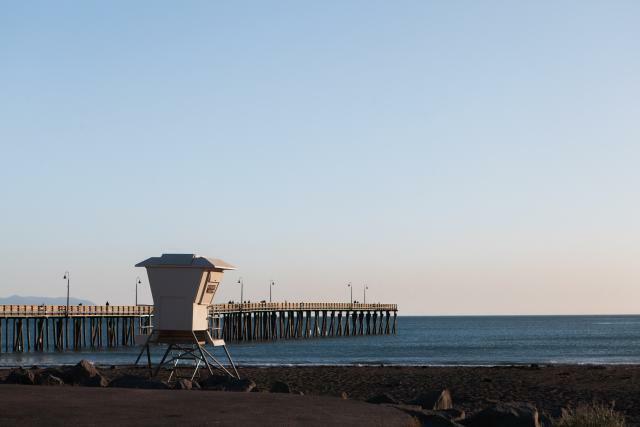 Travel further up Highway 1 into Cambria and San Simeon to experience more rugged coastlines. Pico Creek is a favorite amongst area surfers and has been known to be a reliable spot to catch a few waves. The water may be colder the further you go north, but with virtually untouched coastline and views of Hearst Castle in the distance, it&apos;s nothing a wetsuit can&apos;t handle (or a quick trip to a winery or brewery after your sesh). 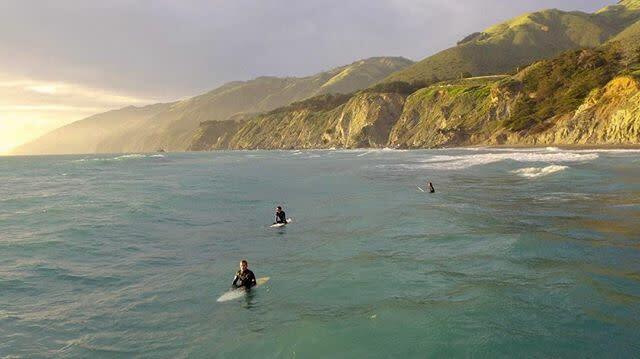 The water stays cool year-round on the SLO CAL coast, so make sure to pack or rent a wetsuit. Seawater temperatures range seasonally from 55 to 65 degrees Fahrenheit (13 to 18 degrees Celsius). The winds tend to pick up in the afternoon, so ride the finest waves during an early morning surf session. Get friendly with the locals, they may divulge a few of their favorite spots. The Still Frothy Surf Festival is an exciting and unique 2-day event at the Pismo Beach Pier that includes the only tow-at (jet ski assist) air division on the Central Coast.